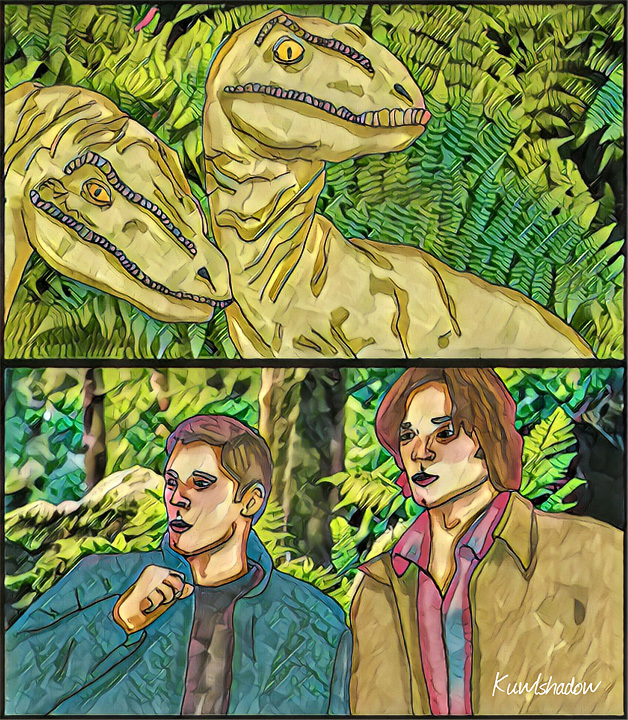 Summary: Dean and Sam sent back in time to the prehistoric time periods of the dinosaurs.They come face to face to two velociraptors. How will they get out of this mess? Notes: I hope you like your gift. I went off the optional prompt of time travel. Probably not what you had in mind but I had fun creating it for you. :) Happy holidays to you! !